Two yachts, wind, tide . . . and a garden. 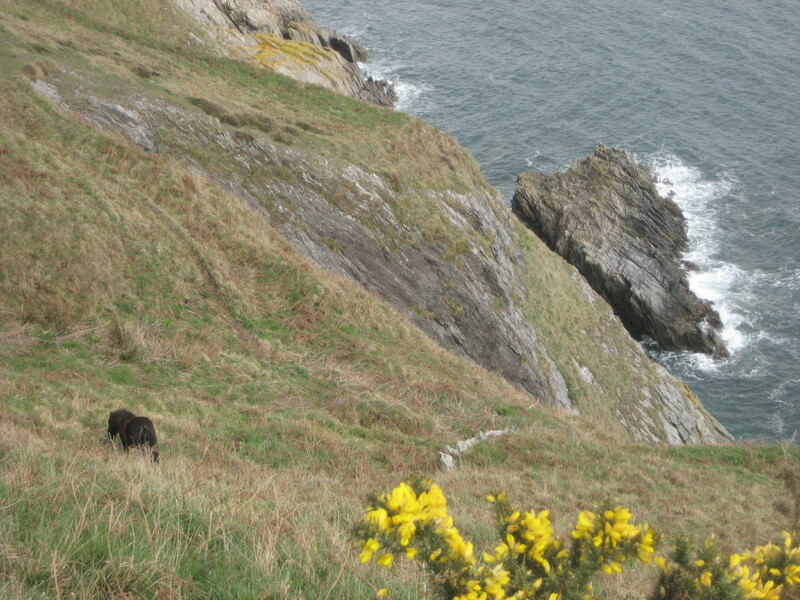 No chance – the gorse is still looking good. We have worked all morning and need to walk away from it. 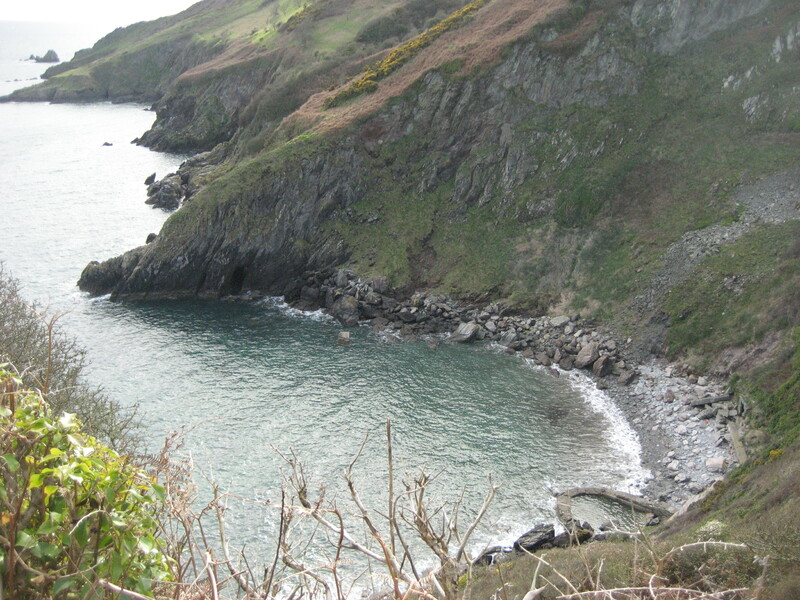 The coast path is the obvious choice – a stretch between Brixham and Dartmouth the easiest to reach. 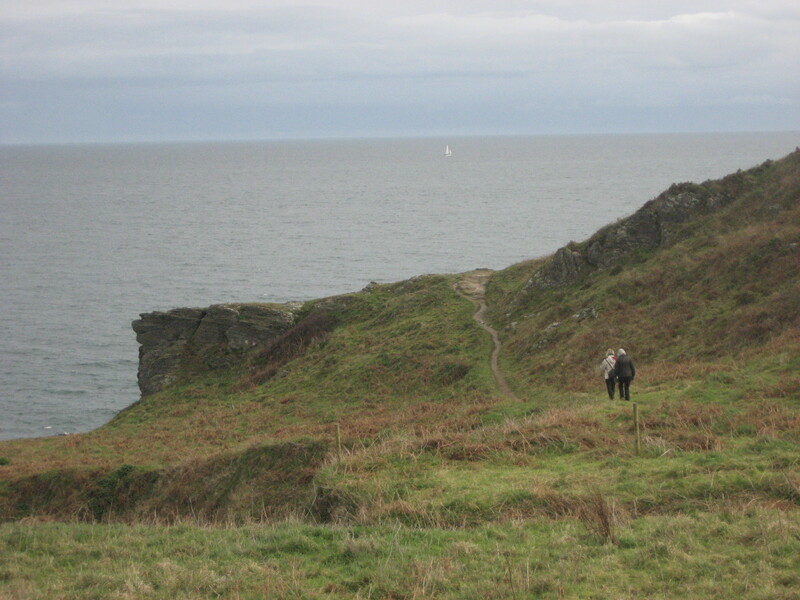 As we descend to Scabbacombe Head, a cold wind blows from north of west, sunshine intermittent. We watch a sloop-rigged yacht working its way up from the south towards Dartmouth. As she closes the shore, the combination of wind and tide is taking her too far to the east of the Mew Stone – by at least a half mile. She tacks and it is immediately obvious that the strength of the tide and the direction of the wind will make the offshore tack even less beneficial. The genoa is furled, she comes about again, motoring strongly under mainsail alone. Twenty minutes later she rounds the Mew Stone (on the left of the picture below) and lowers the mainsail in the later afternoon light. At the same time, she is joined by another yacht that completes a fast spinnaker run – with the benefit of a favourable wind and tide. She has sailed from Start Point in the background, keeping to the south of the Skerries bank, which stretches for three miles this side of Start, parallel with her course across the bay. Start Point is on one the great south coast headlands that the sailing ships marked as they came up-Channel – Lizard, Start (Point), Portland (Bill) and (the Isle of) Wight, before heading through the Straights of Dover and on to the Thames Estuary or the North Sea and Baltic ports. 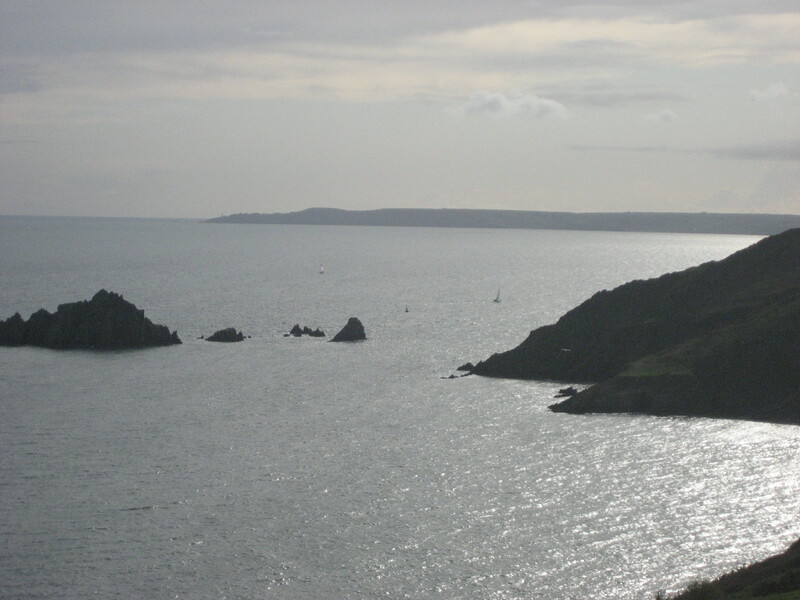 Now, thanks to the the Traffic Separation Scheme in the Channel, it is the down-Channel traffic that marks the headlands – but, given modern navigation aids, they do so more often out of interest than necessity. 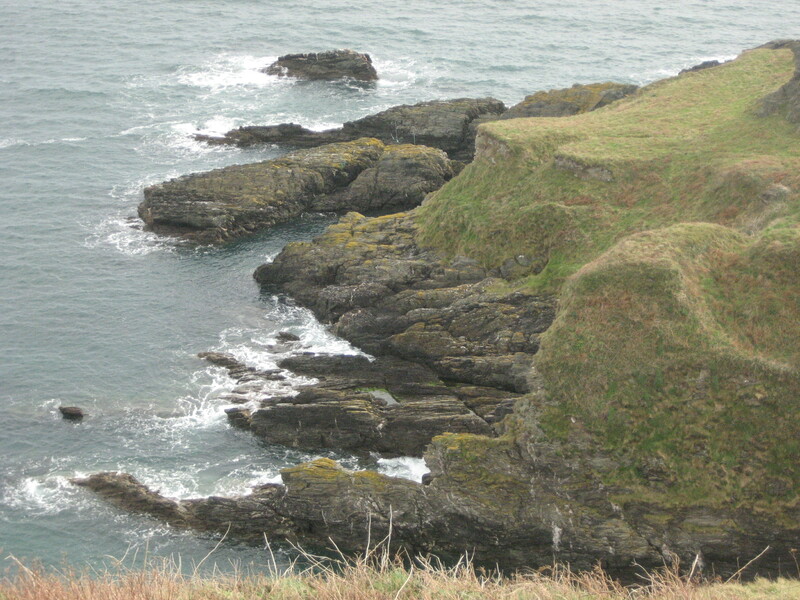 The yachts head or home, we meet two walkers keen to make the pub in Kingswear before evening, and then we drop down into one of those folds of this coastline that has generated a micro-climate of its own, a complete contrast to the scenery of a few minutes before. 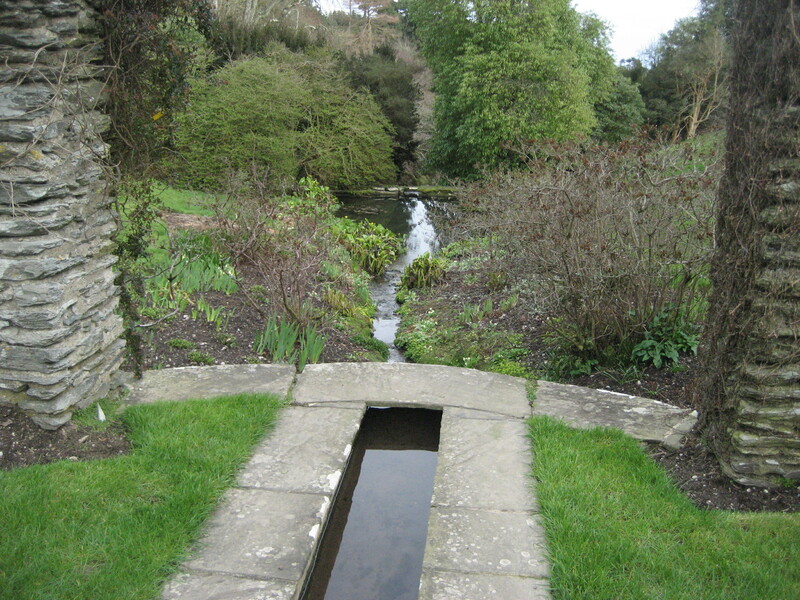 This is the Coleton Fishacre garden – a tiny valley throbbing with pent-up energy – plants ready to burst into spring. 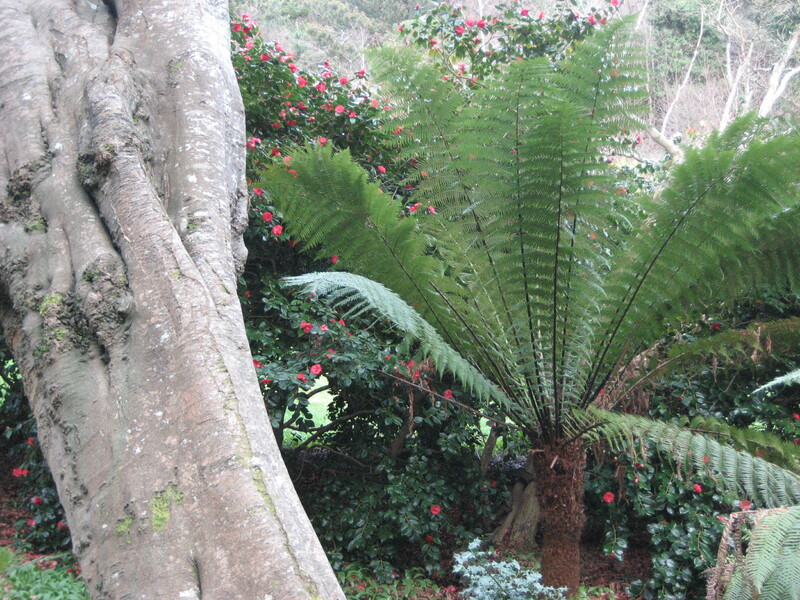 The camellias are coming into flower . . .
. . . and the tree ferns are splendid. 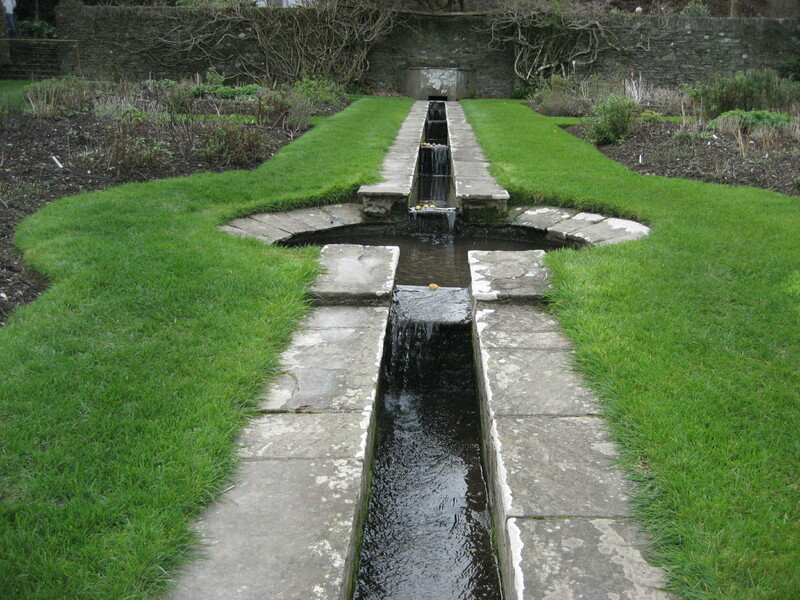 The steep climb takes us level with the house and the stunning rill. 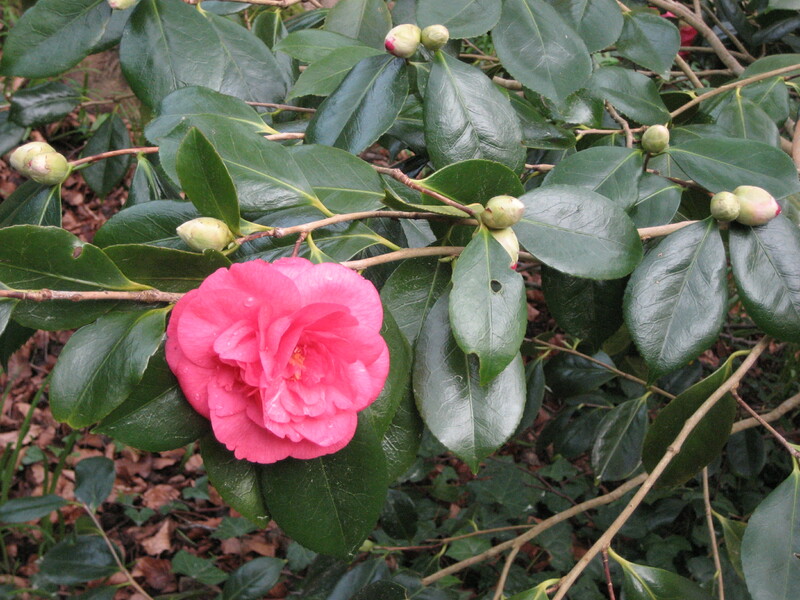 But we have visited before and walk on – intent on a cream tea before the final 3/4 mile climb back to the car. As we drive home, we remember the two yachts that should now be berthed safely in their Dartmouth marina. Only one of us wishes he had been on board!